The Hockey Museum (THM) exists to preserve and celebrate the rich heritage of hockey. It has a sporting heritage collection that covers the development of hockey in Great Britain, the nation from whence hockey can trace its modern origins, as well as an increasingly international collections focus. It is supported by England Hockey and the International Hockey Federation (FIH) and leads the FIH’s work to preserve hockey’s international history. The Hockey Museum (formerly the National Hockey Museum) has grown rapidly since it began operating since December 2011. The collection of artefacts and archival materials cover every aspect of hockey: playing kit (clothing, sticks, balls, goalkeeping equipment spanning hockey’s 150+ year history), books (now the largest hockey library in the world), hockey magazines and handbooks, national and regional official records, full England, Great Britain and international match results, hockey paraphernalia (pin badges, banners, ties, mugs etc. ), press cuttings, scrapbooks and personal albums, postcards and stamps, professional and personal photographs, oral history records, hockey art and much more. 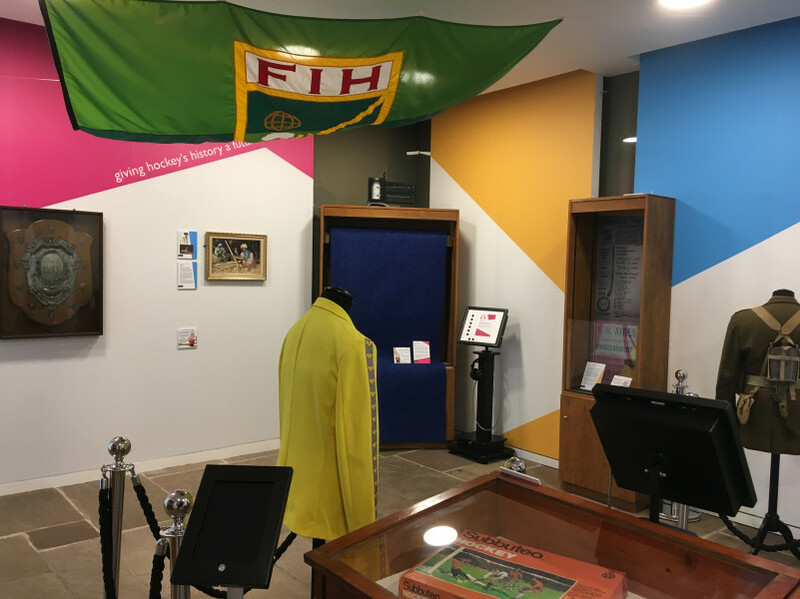 The Museum is not just about hockey at international level – it is very much about all forms of the game and there are already references and historical information to over 4000 English clubs.